On June 3, 2017 Reality Leigh Winner was jailed for providing the news media with a classified intelligence assessment that called public attention to a threat to our electoral process. The threat was a Spear Phishing Attack targeted at a contractor supplying electronic voting machines for the 2016 presidential election. Many who benefited from the information considered it a public service because it allowed the Election Assistance Commission (EAC) to send out an industry standard warnings to the targeted individuals. Protecting the vote and their election equipment was a priority, yet Homeland Security couldn’t warn the contractors because the fact it was happening was classified. I believe it is still classified – yet, thanks to Reality the public has been informed. It is because Winner informed them that they could take defensive measures. 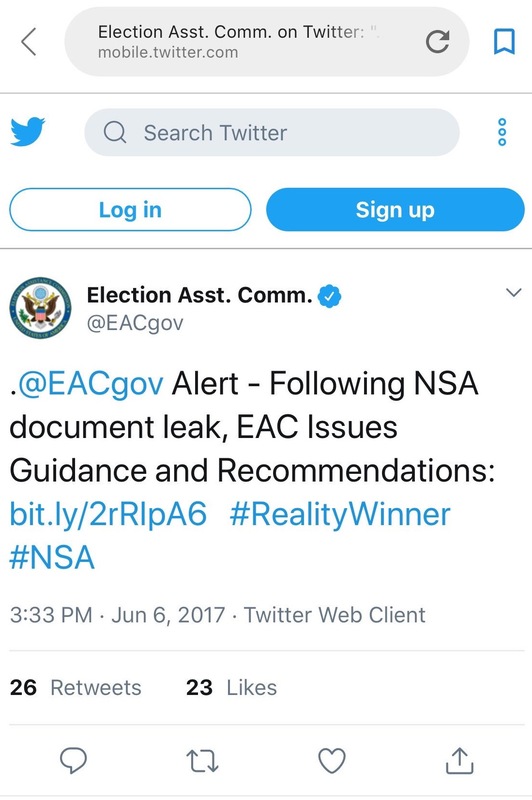 The EAC actually hash tagged #RealityWinner when they tweeted that this had been done. Despite this, it is still unclear if any of our votes were actually altered. 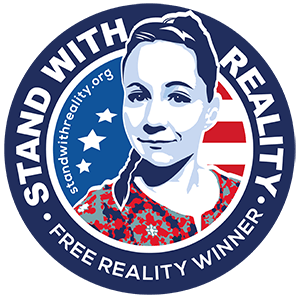 We think it is important to help patriotic Americans like Reality Winner. We believe Reality Winner and other intelligence community public interest whistleblowers can not get a fair trial in America under the antiquated Espionage Act. This law is meant for spies, not Whistleblowers. Although Reality warned people about a threat to our most fundamental and cherished democratic process, there is no public service defense permitted for Espionage Act cases. This means the Jury is not allowed to see evidence because it is classified, and the judge can limit the actual process of gathering evidence in defense of the plaintiff for what appears to be arbitrary reasoning. A law meant for spies, and enacted before “classification” even existed is not justice when applied to public interest whistleblowing. What further complicates things, is that there is no effective whistleblower protections in place for people who work in the intelligence community (IC) because the people who provide oversight are afraid their security clearance will be removed by those they oversee. This creates an untenable circular situation that is further exacerbated by the intentional removal of intelligence professionals from legislation intended to protect whistleblowers because … well, it is “classified”. There are some people who will say: “Yes! There are effective protections for IC whistleblowers!” In actuality, we who have spent years supporting public interest whistleblowers, some of us whistleblowers ourselves, have not seen this to be the case. What was the purpose of the Original Espionage Act? The U.S. Congress amended the Espionage law with the Sedition Act of 1918. Its purpose was to make it illegal to write or speak anything critical of American involvement in the war. To increase public awareness, send people to this page. Social media follows are excellent for garnering support, tell you friends too! @bjwinnerdavis, @WendyMeer11 & @aretvet are good follows. Ask your followers to follow them Retweet and “Like” their tweets Write supportive tweets, Ask others who have large followings on twitter to help. Look around this site or on google and share those stories that move you the most. Flag media personalities, friends and family in person or on social media so that they too will be informed. Ask @ACLU and Other Civil Rights Activists for Help… do it more than once! Use Social Media such as Twitter and Facebook. If you belong to Facebook groups, please post about Reality’s plight. Find your how to submit an article by contacting your local newspaper or magazine either by phone or most have information online. Just write from the heart. You are a citizen who cares – and that is what will resonate.